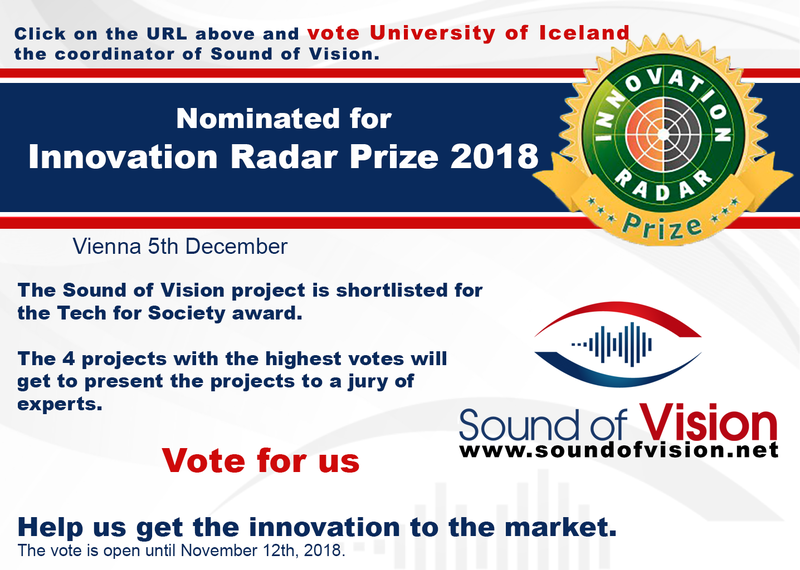 Sound of Vision has been nominated for the Innovation Radar Prize 2018. The general public is invited to vote for the best project. We need your help. Voting is open on-line until November 12. The four projects with the highest votes will get to present to a jury at ICT 2018. Results will be announced December 5th. It is a great honour to be nominated and a recognition of the results of three years of intensive work. Being selected as a finalist will furthermore help us in grant applications for further research and development funding.